Bright Eyes & Bushy Tails is Johnson County’s only 24-hour veterinary hospital, providing services ranging from traditional family-oriented pet care for dogs, cats, reptiles and pocket pets, to intensive care for life threatening illness and injury. We are dedicated to providing the best quality veterinary care for your pets whatever is needed, whenever it is needed! 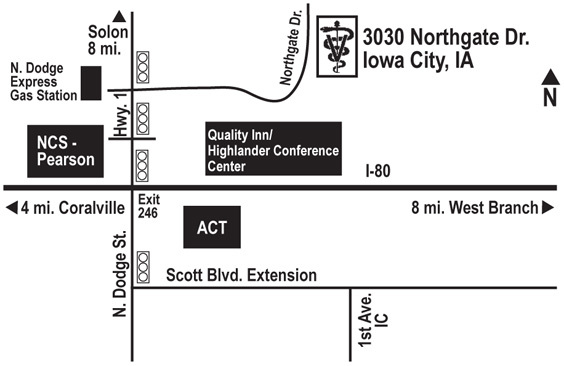 From Interstate 80, take Exit 246 and go North to the third stoplight, which is Northgate Dr. Turn right at the light and follow it all the way to the end. We are the very last building on the right. In November 2008 we became the first hospital in Johnson County to become accredited by the American Animal Hospital Association, and we have maintained our certification ever since. 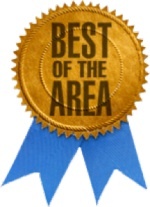 Voted "Best of the Area"
Iowa City Press-Citizen 2012 voting is during October 2012! Cedar Rapids-based KCRG-TV9 sponsors an annual "A-List Contest." 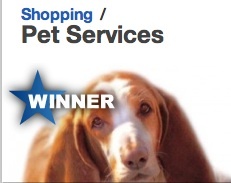 We were first included for "Best Pet Services" in 2012 and placed 4th (top 5 are winners). See-Spot-Run is the three year old rehabilitation component to Bright Eyes & Bushy Tails. Focused on post-operative rehabilitation, conditioning, and weight control we want to keep pets active and comfortable despite age and/or physical issues. Copyright 2012. Bright Eyes & Bushy Tails.